A great first course that will leave no one indifferent. 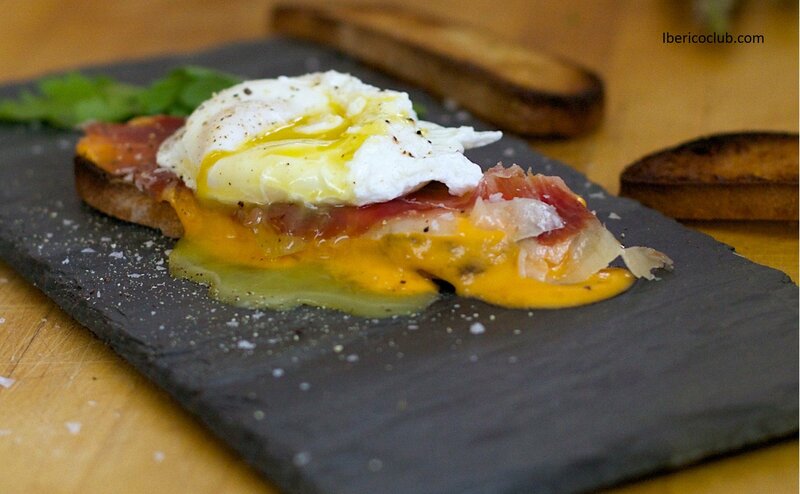 This mouthwatering “tapa”screams Spain and will leave your guests wanting more! 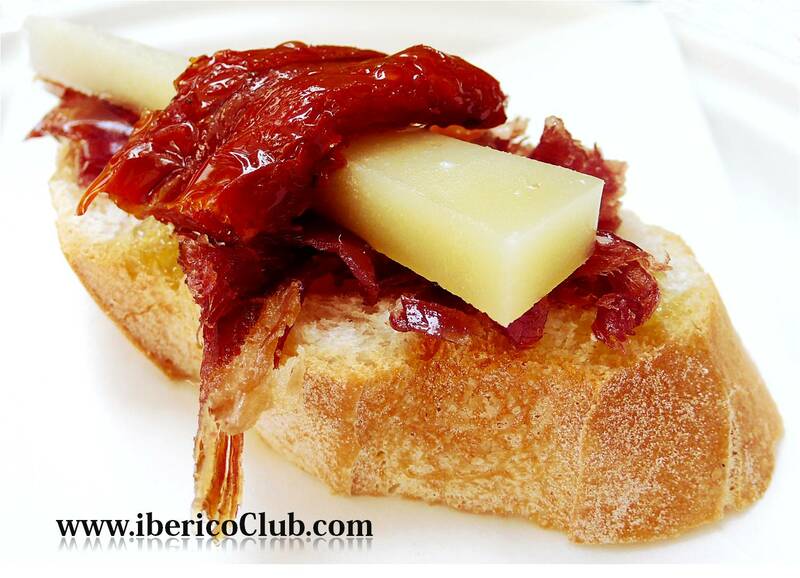 Acorn-fed Ibérico Ham, a delectable, healthy pleasure. 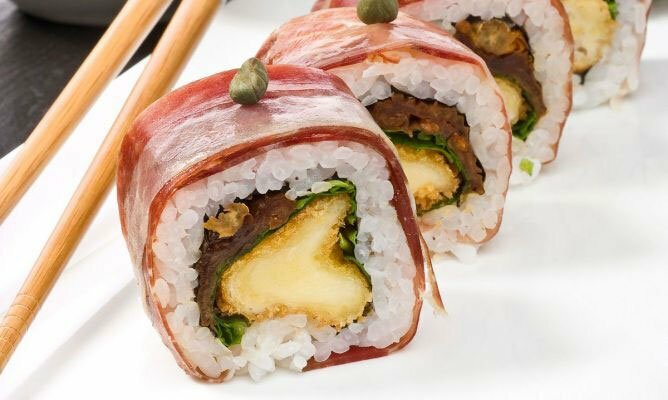 Jamón Ibérico de Bellota sushi roll is a Japanese-Mediterranean fusion delight. It’s easy and fun to make. Your guests are going to love it! 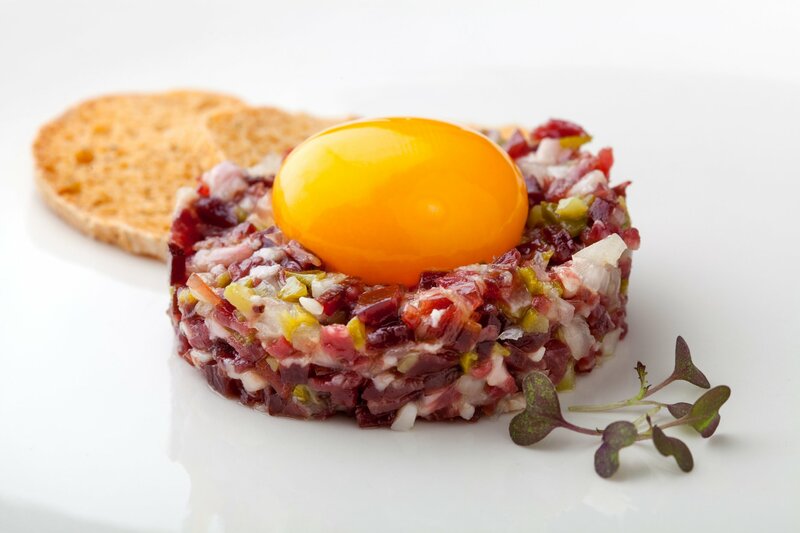 Acorn-fed Ibérico ham tartare…what an original, fresh and beautiful dish! There is an occupation in Spain that is called Maestro Cortador (Carving Master).